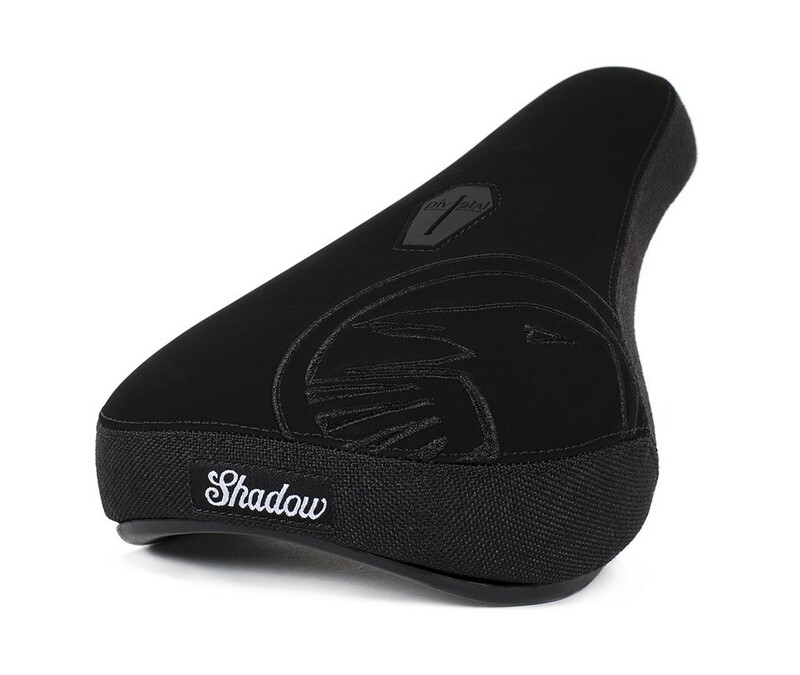 SHADOW CROW PIVOTAL MID SEATS – ARE IN STOCK NOW! The Shadow Conspiracy’s newly updated “CROW” mid Pivotal seats combine quality with style and durability wrapped into one badass seat! Click HERE to view more info and photos. The Shadow Crow seat has been a staple in Shadow’s seat offering for over 10 years. Shadow decided to rejuvenate this classic seat design with some updated materials and styling. From the microfiber top panel and denim side panels to the thickly embroidered crow head, this seat is a blast from the past! Available in Both Pivotal and Solus seat/seatpost options. This seat is also available in the popular SLIM size. « MASTER BLASTER PLANET T SHIRTS IN STOCK NOW!